Today we’re going to talk about several fun variations of Capture the Flag. 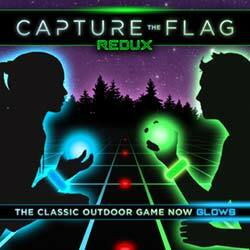 Now, if you’ve ever played Capture the Flag you know it’s one of the best outdoor games ever created. But did you know there are multiple different ways to play besides the traditional manner? The basic concept of Capture the Flag is defending your territory and invading the enemy team’s turf. Stealing their flag and returning it to your side of the field is the ultimate goal. Along the way, you must avoid getting captured and sent to jail. Click here to learn how to play Capture the Flag. 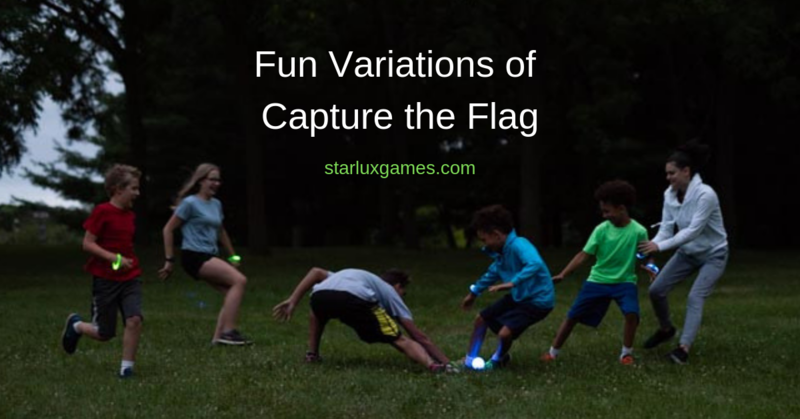 The following variations of Capture the Flag add twists and turns to the rules and tactics. If you have a large group playing CTF you might wanna think about adding some spice to it. How do you do that? With multiple flags! One college set an actual world record for the most people playing CTF. They used a pile of flags and it looked like a Braveheart scene. Everybody loves Halloween so why not have a costume based Capture the Flag game? We’ve heard stories of people dressing up like Star Wars characters, Marvel characters, and other superheroes to play CTF. This variation adds quirky fun, especially for younger children. Getting stabbed in the back is no fun as an adult – you know, devious coworkers and all. But having a turncoat involved with Capture the Flag is quite fun. It adds a twist to have one spy on each team working behind the scenes for the other team. This traitor, chosen randomly/secretly, gets one chance to steal the flag and take it to his real team. If he gets caught he has to go to jail like a real spy would. This is a big shake-up that makes everybody nervous, making for a better game. There are ways to play Capture the Flag with only one flag. Some people refer to this as “neutral base” Capture the Flag. This variation involves having the flag in the middle of the field. Each team tries to get it back to their specified home base. This often turns into a big tug-of-war as the flag sometimes moves only inches at a time. This fun variation of Capture the Flag is a war of attrition, so be ready for a long battle. Groups who mix paintball with Capture the Flag create an epic gamer concoction. The game is played the same way as if you were tagging the players except now you are using paintball guns. Get hit by one paintball then you go to jail or are out of the game. Obviously you want to wear protective gear just like when playing regular paintball. This variation is great for teens and adults. One of the best ways to mix things up is to make the flag throwable. You simply use a ball for the flag. This can be a football, tennis ball, soccer ball, etc. Once a team member grabs the ball-flag they can throw it to their teammates. This can make the game go really fast. One thing to note is the players cannot throw the ball-flag all the way over the line to their own territory. We refer to that as cheating! For water lovers, there are fun variations of Capture the Flag just for you. Teams have played using kayaks or in their swimming pools. You need a floating flag for a lake unless you want to go all in for scuba gear. Expensive! Another water variation is using water balloons instead of tagging players. Get hit with a water balloon, go to jail, soaked. What about multiple teams above the standard two-team CTF? All you need to do for three or four teams is divide the playing field up into thirds or fourths. This is a chaotic way to play the game since teams will be attacking from many directions. No worries. Chaos means added fun when we’re talking outdoor games. And since you need lots of players for this awesome Capture the Flag variation, it’s a good excuse to meet new people as you invite them to play. The jailbird has to say the alphabet backward to a ref. 50 push-ups frees the captured player. Trivia questions from a ref can free a player who is incarcerated. If you have your own fun variation of Capture the Flag please let us in on it in the comments section below. Other outdoor game lovers want to know. A simple twist here or there can make for bonus excitement when it comes to classic games. 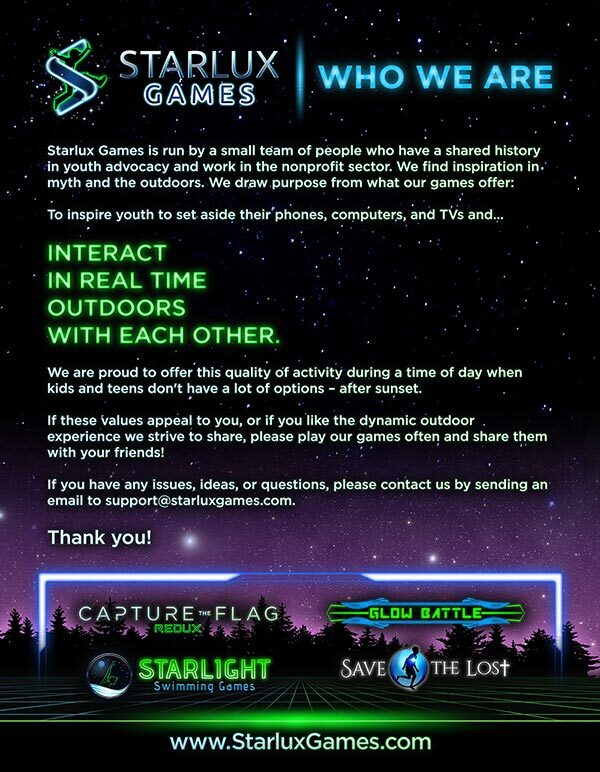 To enjoy the game even more, here is an article we wrote on how to throw an unforgettable Capture the Flag Redux party.